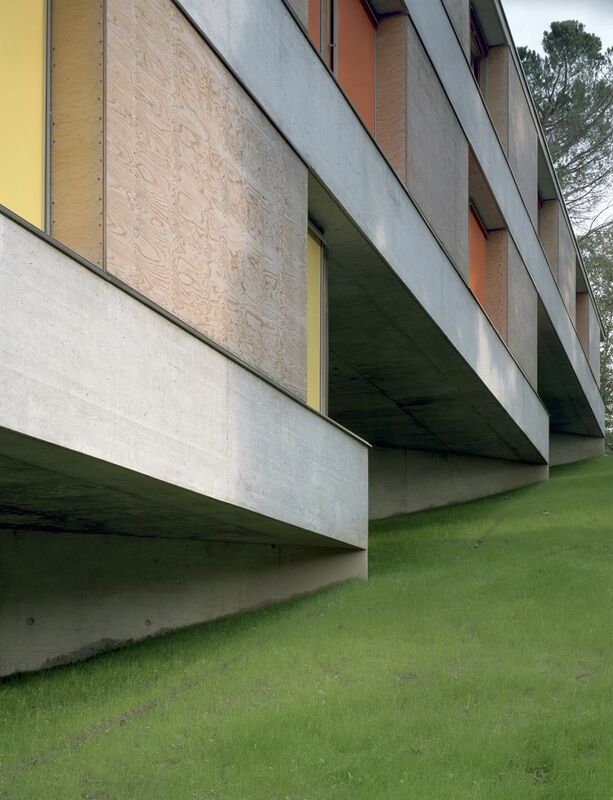 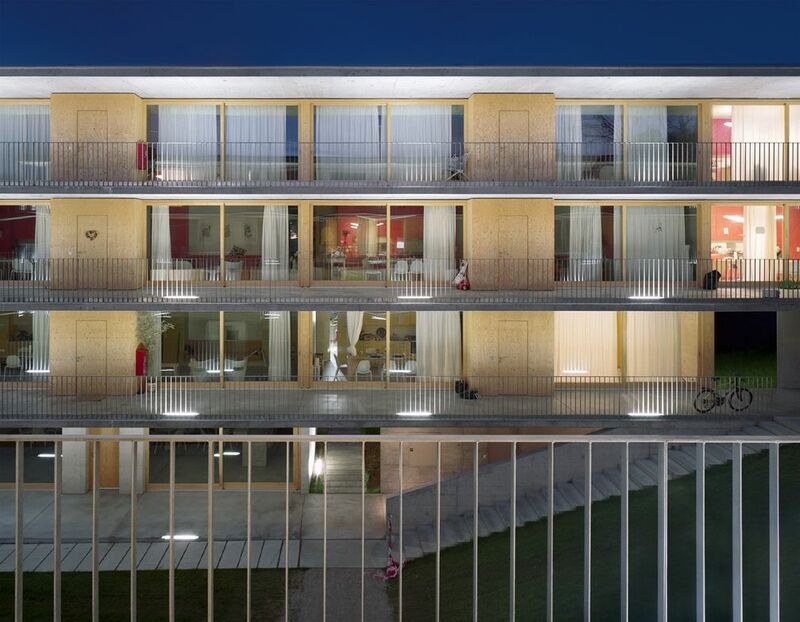 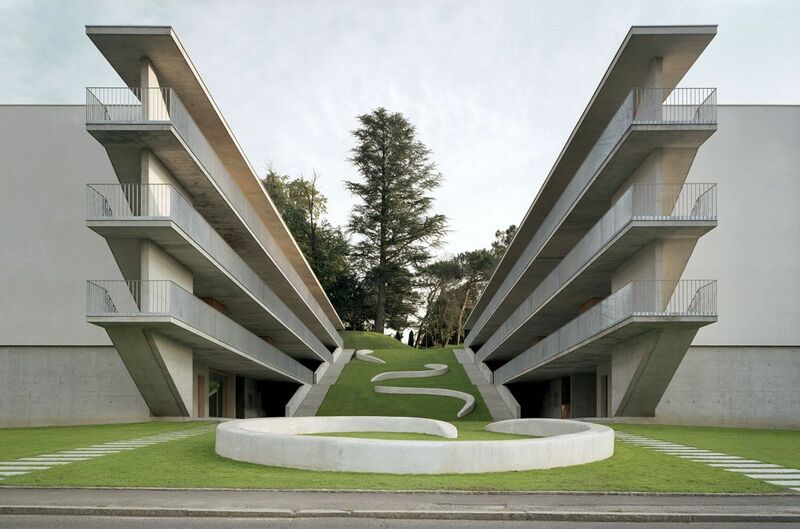 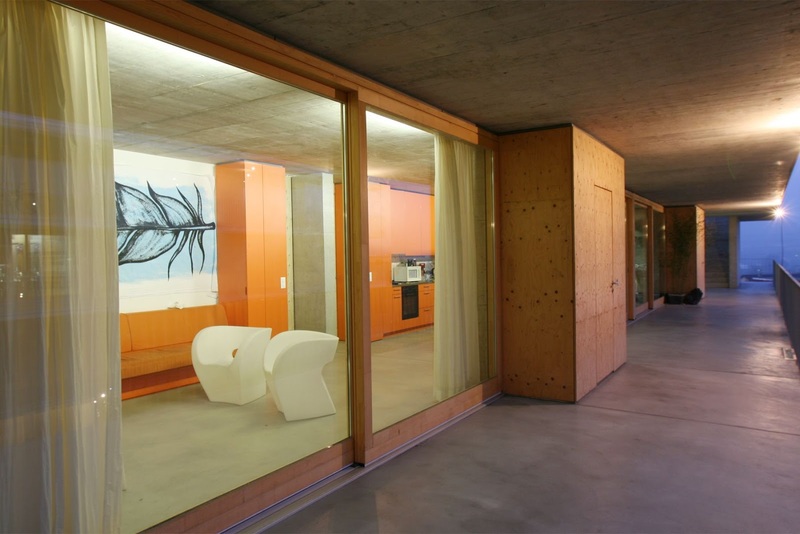 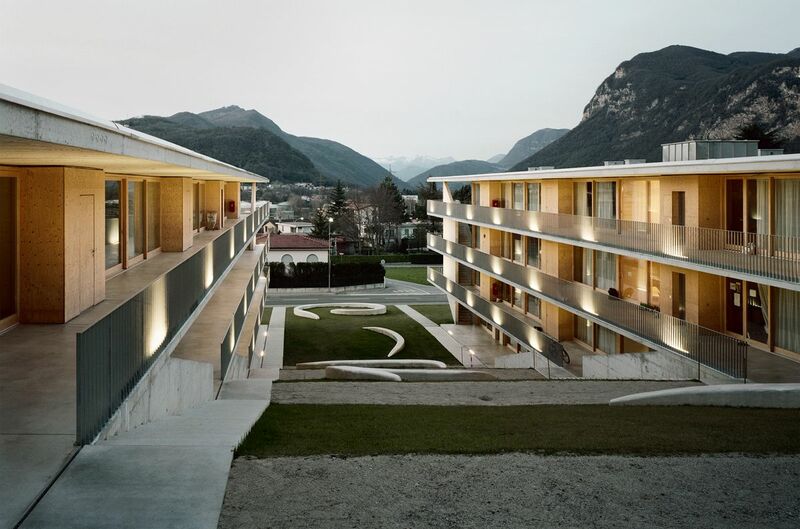 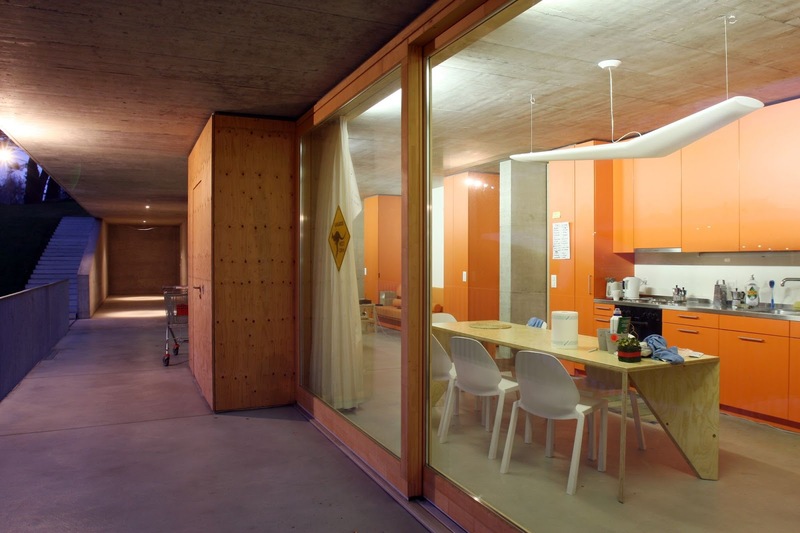 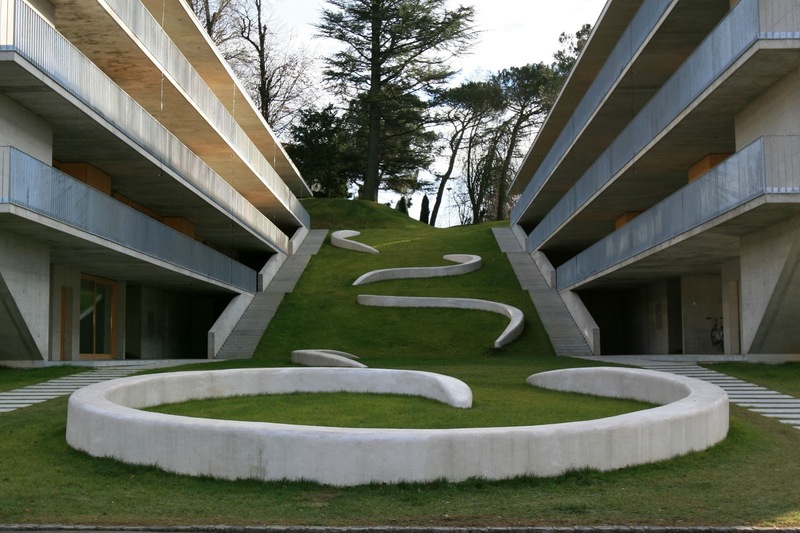 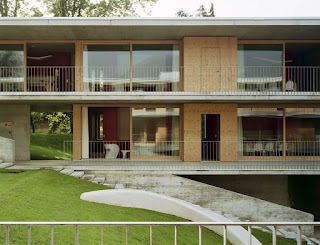 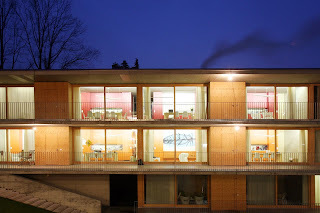 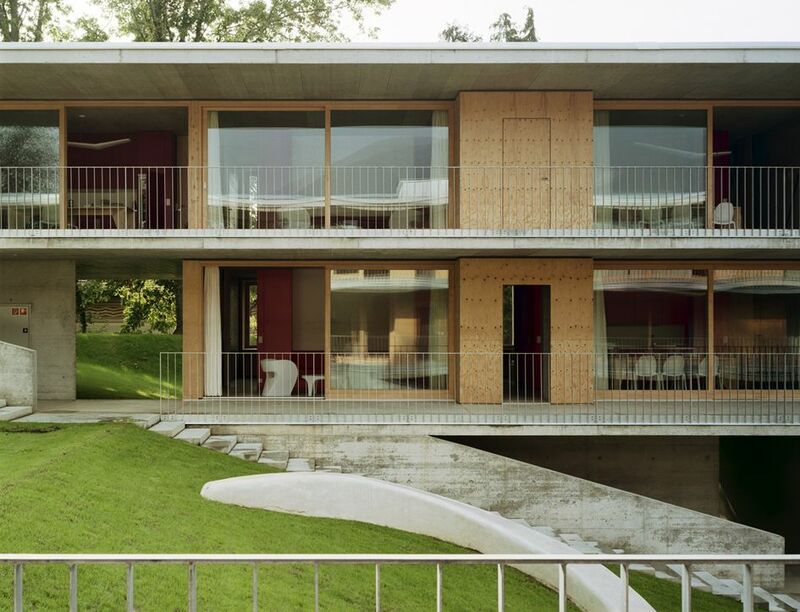 The Accademia Residences provide student housing for the international architecture school in the small town of Mendrisio in Switzerland, near the Italian border. 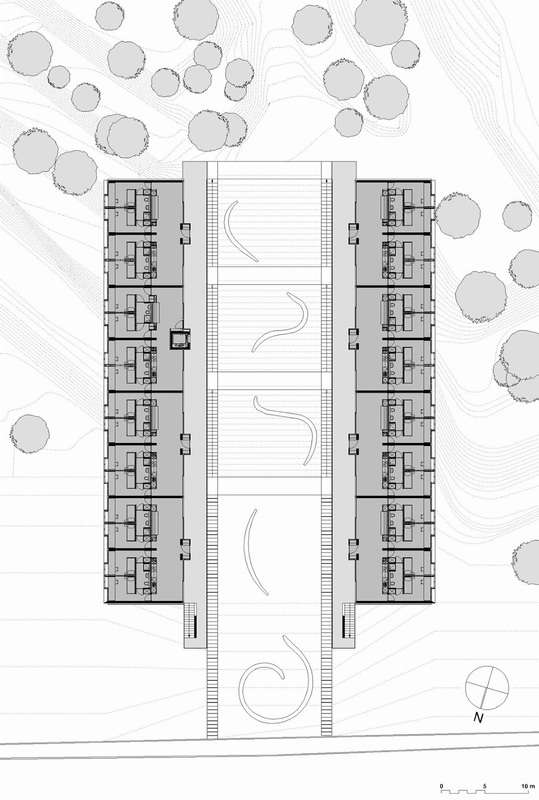 This student accommodation is located on a sloping site 0.8 km (0.5 miles) from the school, in a suburban area with a heterogeneous mix of housing and public buildings. The two blocks of dormitories are set apart, cutting into the hillside to form a sheltered central garden. This garden opens to frame views of the mountains. Stepped and carefully landscaped, it is a very public area and is overlooked by the circulation space. 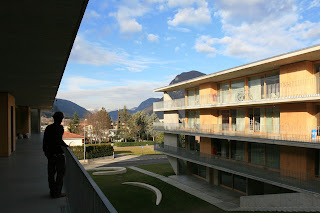 Individual rooms are placed along the external facades. 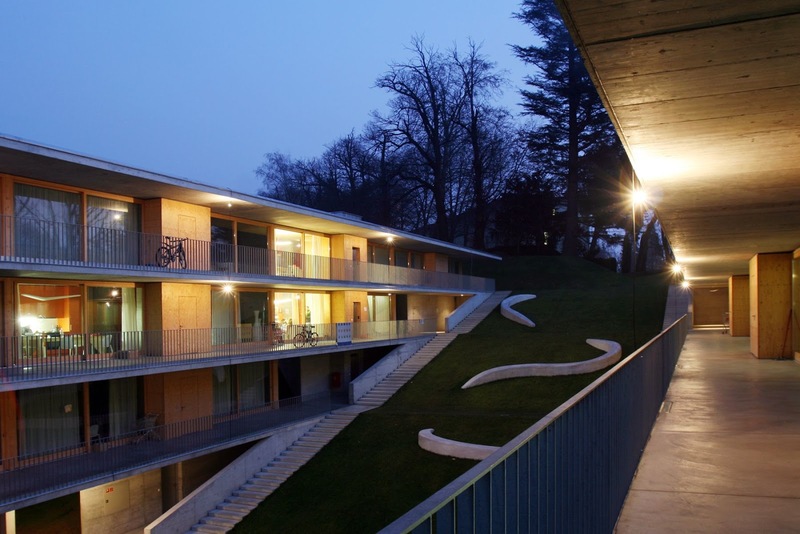 The dormitories are four storeys high and provide small, well-organized accommodation, with plenty of built-in storage for 72 students. 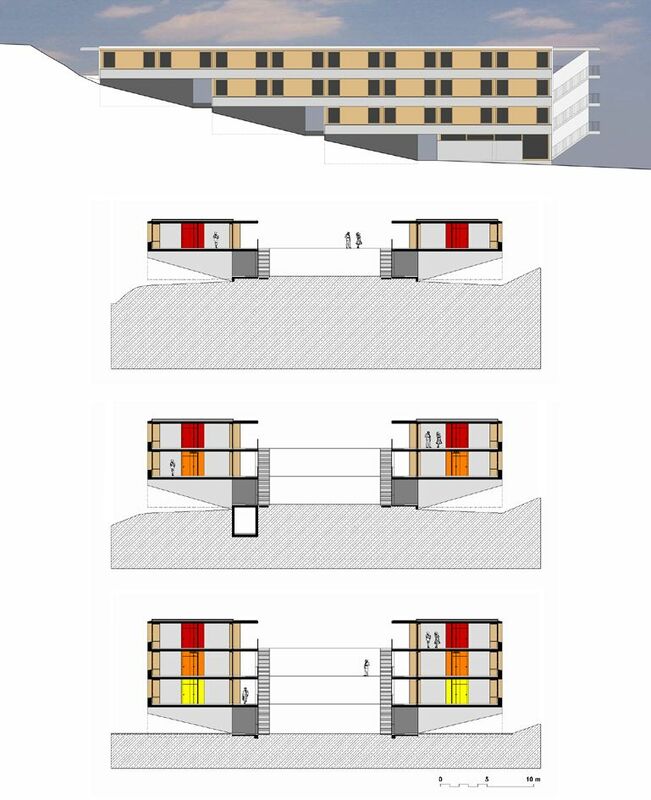 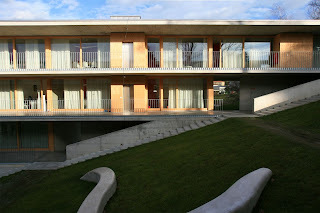 The main structure is formed from concrete floor slabs supported on cross walls with cantilevered balconies. 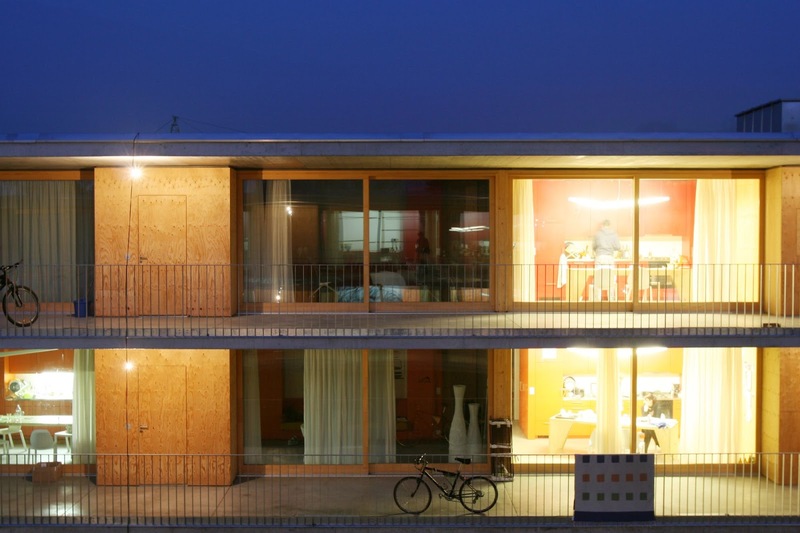 The facades are clad in a combination of timber and plywood panels and the interior partitions are made of coloured panels. 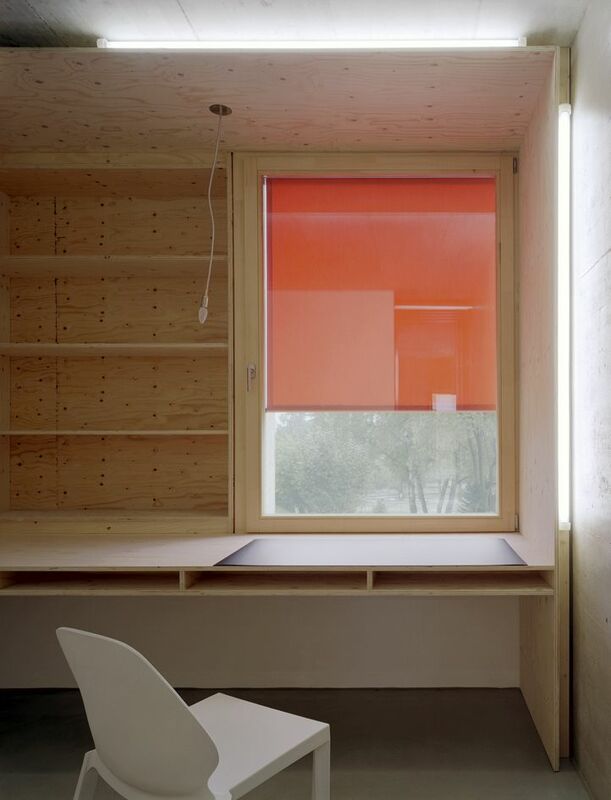 With the exception of tables and chairs, the furniture is built-in.